New Delhi [India], May. 9 (ANI): In yet another jolt to absconding businessman Vijay Mallya, the Supreme Court on Tuesday found the liquor baron guilty of contempt of court and summoned him to personally appear on July 10th. 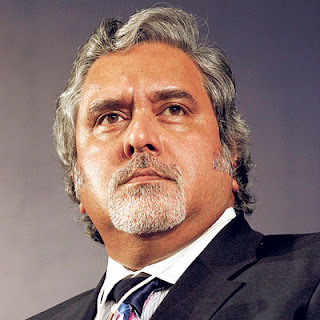 The apex court was hearing a plea by a consortium of banks, who moved the apex court after Mallya received $40 million from British firm Diageo Plc in February 2016 and allegedly transferred the money to his children, instead of repaying loans that he owes to the banks. The absconding businessman was arrested by Scotland Yard last month on fraud allegations, which triggered his extradition process in the British courts. However, Mallya was released on bail as he assured the court to abide by all conditions associated with extradition proceedings, including surrendering his passport. Despite the extradition treaty signed in 1992 between India and the UK, only one successful extradition has taken place - Samirbhai Vinubhai Patel, who was sent back to India in October 2016 to face trial over his involvement in the post-Godhra riots of 2002, the report says. Last February, India gave a formal extradition request for Mallya through a note verbale. Meanwhile, a joint team of the Central Bureau of Investigation (CBI) and Enforcement Directorate (ED) reached London on Tuesday. The UK's Crown Prosecution Service (CPS) will argue the case on behalf of the Indian authorities. Mallya, whose now-defunct Kingfisher Airlines allegedly owes more than Rs 9,000 crore to various banks, had fled India on March 2, 2016.